DIKOVA Inna, Doctor EMC. Make an appointment, ask a question. Graduated from medical faculty of Sechenov First Moscow State Medical University, completed clinical residency at Obstetrics and Gynecology Chair by the guidance of A. N. Strizhakov academician. Achieved a certificate of a doctor of ultrasound diagnostics, manages with all modern methods of ultrasound diagnostics. Fully manages obstetric, surgical and ultrasound techniques, as well as methods of assessment of fetus functional state. 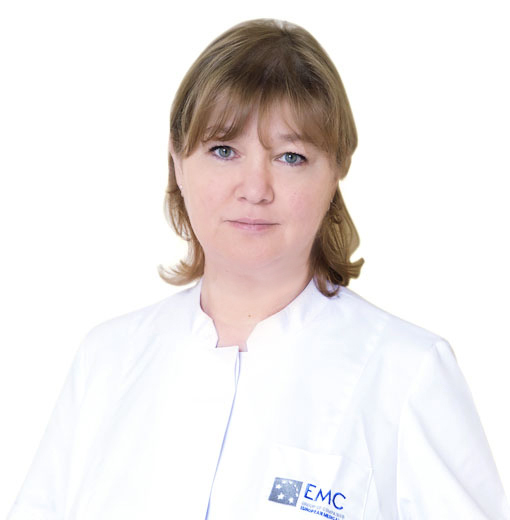 Worked as an obstetrician- gynecologist in the maternity hospital of the one of the biggest multiprofile clinic in Moscow, City Clinical Hospital №7 (named after Yudin S.S.), for 6 years. Has a large experience of providing high quality medical care for different pathologies of pregnancy and physiological delivery using up-to-date tehnologies. Work specification: guidance of physiologically mild delivery with psychological support, guidance of pregnancy and delivery in patients with extragenital pathology, guidance of multiple fetation delivery and delivery in pelvic presentation and scarring on uterus, vaginal delivery.